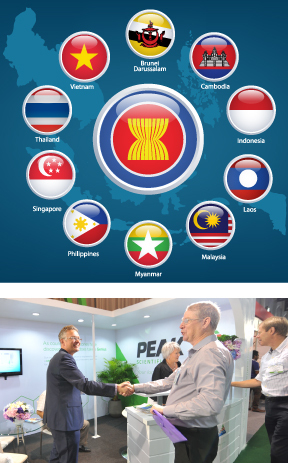 Think Southeast Asia, Invest at Thailand LAB INTERNATIONAL 2016! The fluctuating economic situation and the high competitive trades with stringent government regulations are forcing the Southeast Asia industry to invest in high-technology laboratory infrastructure to ensure the quality and safety of the products. Southeast Asia’s 10 countries have a combined gross domestic product (GDP) of $1.9 trillion; a population of more than 600 million people. Over the past decade, the countries have averaged a growth rate of more than five percent per year. If Southeast Asia were one country, it would be the world’s ninth-largest economy. 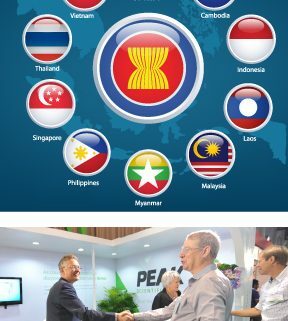 All 10 Southeast Asian countries belong to the Association of Southeast Asian Nations (ASEAN), a 45-year-old regional organization that promotes economic integration, and aims to create an Economic Community- a single market for goods, services, investments, and skilled labor. Recently, the 10 countries are ASEAN Economic Community (AEC) already drawing foreign direct investment to the region. Thailand is the gateway to AEC and one of investment destinations for biotechnology in Asia plays important roles in promoting research for sciences and industries, apart from being major exporter of commodity goods, food & agriculture. The objective of Thailand is to be a developed country. To achieve the target Thailand has to transform efficiency-driven country to innovation-driven country. So, the investment on research and development does not depend on government body only, the private sectors must in in-charge. In 2014, the GDP was 13,132,234 million Thai baht and R&D expenditure of Thailand was 63,490 million Thai baht (29,045 was from grenment body and 34,445 private sectors) or 0.48%GDP. 3.78 million people have been working in science and technology field. The expenditure on R&D of 2016 is projected to 130,000 Thai baht or 1%GDP. This year, the private sectors play vital roles in R&D because the technology acquisition and support from the government such as Talent Mobility Program and 300% tax incentive. Besides, some laws, regulations and supportive policies have been updated to strengthen competitiveness of Thai manufactures. The value of the R&D expenditure above does not includes the expenditure on quality control and quality assurance, the routine work that required high number of instruments and tools also includes consumable equipment. Moreover, the government has a mega project on Thailand Science Park Development plan, Economic Zones of Innovation (EZI) and Food Innopolis. The support on R&D and investment on science and technology infrastructure encourage the consumption of laboratory instruments and equipment and Thailand to be an attractive country for investment. The exhibition will be held on 10,000 square meters of EH 101-102, BITEC, Bangkok. The cutting-edge technology will be presented and showcased by 1,300 brands of 350 exhibitors from 35 countries plus 6 country pavilions. The content of the show will cover diversified area of laboratories, Clinical & Diagnostics, Analysis & Testing, Safety & Environment, Research & Development and Calibration & Metrology. Thailand LAB INTERNATIONAL 2016 could be the technology platform for laboratory to develop the potential of Southeast Asia industry for serving the well-being of 7.3 billion world population. The exhibition connects the regional laboratory investment in sciences, industries, research and educations. Conference & symposia, one of the highlight awaited by professionals, brings international content in life sciences & biotechnology, Genomics & Bioinformatics, Food & Materials Analysis, Toxicology and Industrial Laboratory Management etc. http://www.thailandlab.com/wp-content/uploads/2016/06/ASEAN.jpg 463 288 Admin http://www.thailandlab.com/wp-content/uploads/2018/10/LAB19-Logo-with-year-01-300x105.png Admin2016-06-10 17:00:052016-06-23 16:48:23Think Southeast Asia, Invest at Thailand LAB INTERNATIONAL 2016!